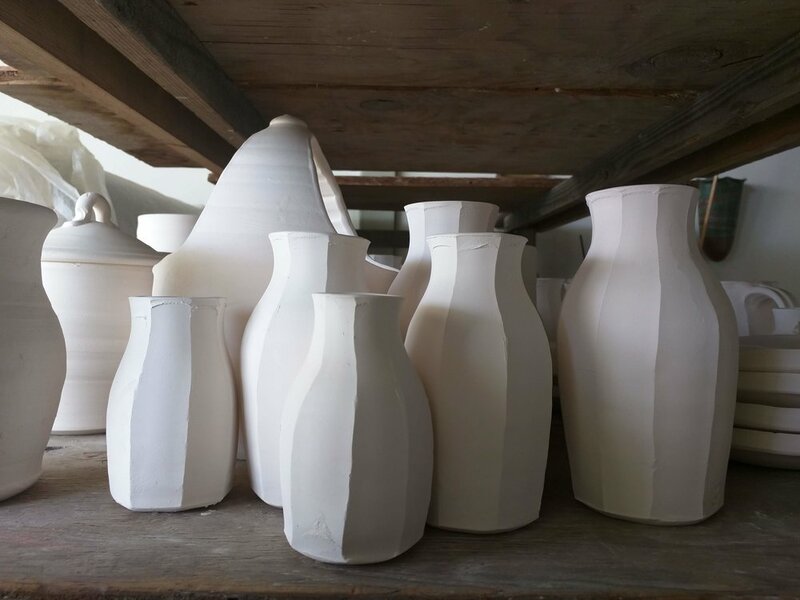 Mary Law Pottery's upcoming events, such as Kiln Openings and Holiday Sales, will be posted here. 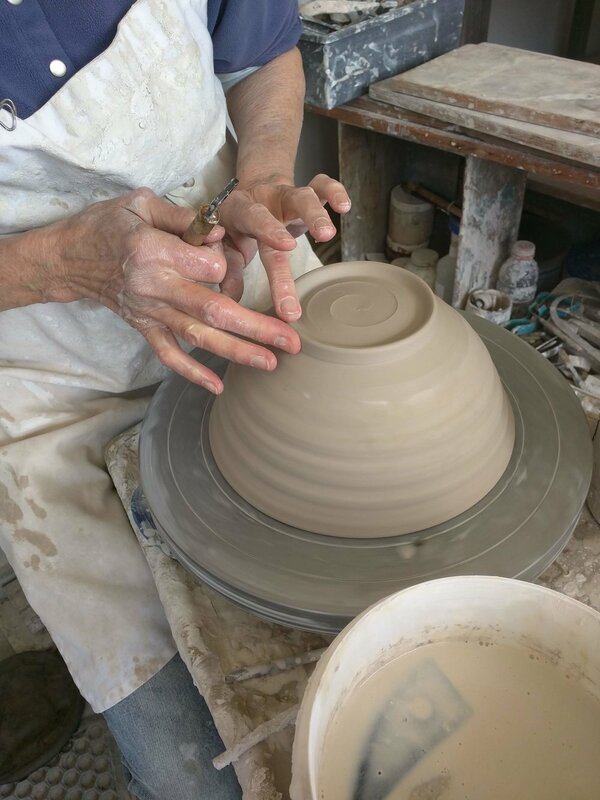 You can also subscribe to Mary Law Pottery's events on Facebook or sign up for the email newsletter via the contact form. 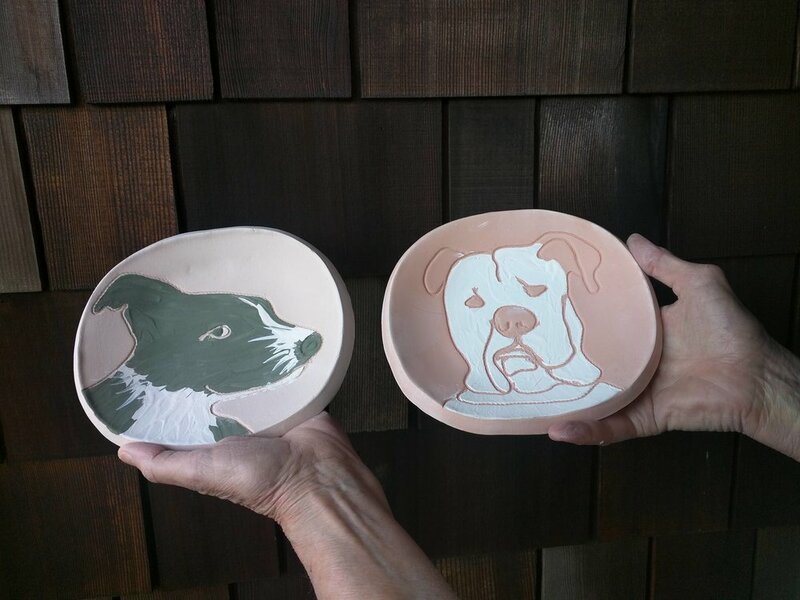 I’ve been having fun with my new animal plates, including some pet portraits made by request. 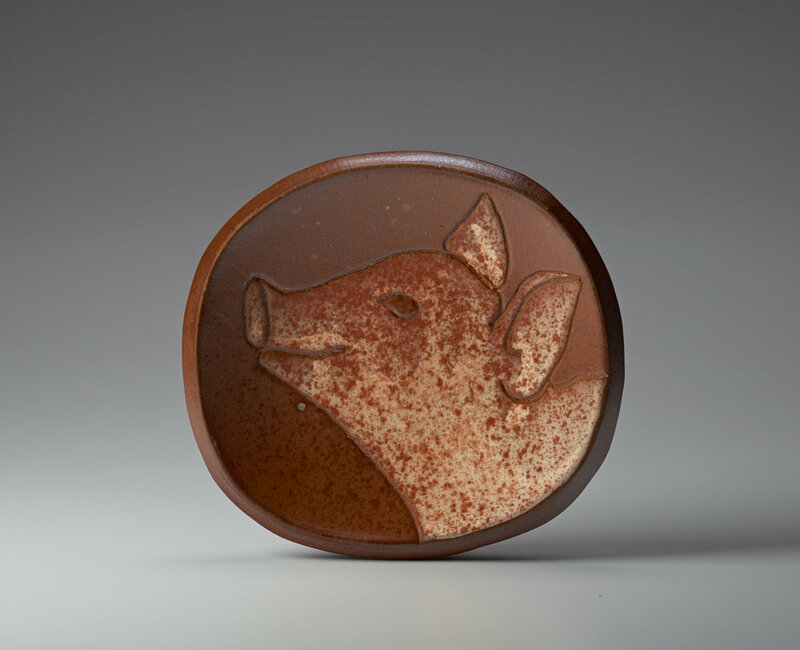 I’ll unload both a soda and a glaze kiln into the studio; don’t miss all my brand new work, along with seconds and older stock! 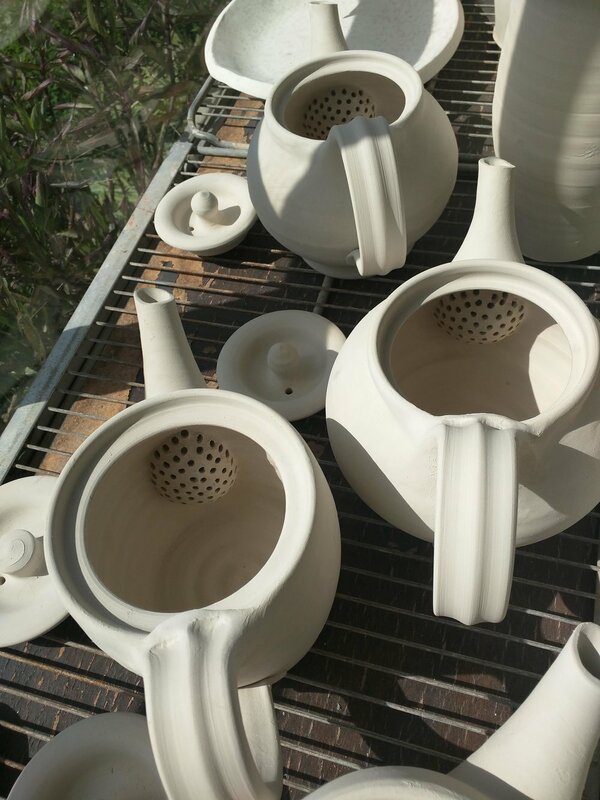 Below are some photos taken in the studio: bisqued, faceted bottles; teapots drying in the sun; finishing off the foot of a bowl after trimming; and in-process pet portrait plates.